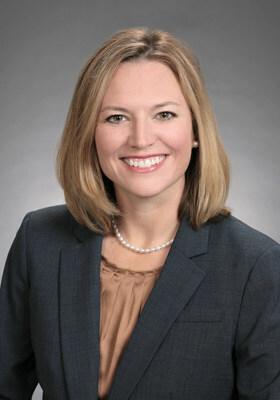 DES MOINES, Iowa, Jan. 22, 2019 /PRNewswire/ -- Kemin Industries, a global ingredient manufacturer with a focus on improving the quality of life for more than half the world's population, has appointed Haley Stomp, a 16-year company veteran, to lead its worldwide marketing as Senior Vice President, effective immediately. Stomp joined the company in 2003 as a chemical process engineer for Kemin Health and quickly advanced in her career. She took on increasing responsibility within the business unit, eventually moving into a global product manager position for Kemin and oversaw the worldwide launch of a new enzyme for the company. Stomp then moved to product management for Kemin Animal Nutrition and Health – North America, before taking on the role of senior marketing manager for the business unit. Shortly after, Stomp was made Director of Marketing and, in 2015, she moved into the executive role of Vice President of Marketing for Kemin Animal Nutrition and Health – North America. Stomp led all marketing initiatives in the business unit, including the expansion of KemTRACE® Chromium throughout the North American agricultural market, before joining the Kemin global leadership team this year. "I am thrilled to have Haley leading our worldwide marketing efforts and initiatives," said Dr. Chris Nelson, President and CEO, Kemin Industries. "Her experience in various areas of Kemin businesses on both a regional and global scale has given her unique perspective and valuable insight, making her a great fit for this role. Haley has continually demonstrated strong leadership, strategic vision, innovation and creativity that will help build the Kemin brand globally." Stomp has driven growth in both marketing and sales for Kemin. She has managed all marketing activities for two acquisitions and has developed and implemented new digital capabilities. During Stomp's time in marketing management for Kemin Animal Nutrition and Health – North America, sales and margin tripled. While Vice President of Marketing for the business unit, Stomp generated more than 25 percent growth year-over-year for three consecutive years. Stomp will lead the Kemin corporate marketing team and collaborate with all 16 Kemin business units to enhance strategic marketing. Stomp succeeds Riaan Van Dyk, who transitioned to the role of General Manger for the new Kemin vaccine business, Kemin Biologics, in late 2018. Stomp has a bachelor's degree in chemical engineering from Iowa State University and a Master of Business Administration from the Tippie School of Management at the University of Iowa. Kemin Industries (www.kemin.com) is a global ingredient manufacturer with a focus on improving the quality of life for over 3.8 billion people each day with more than 500 specialty ingredients made for the human and animal health, pet food, nutraceutical, food technology, crop technologies and textile industries. For over half a century, Kemin has been dedicated to using applied science to address industry challenges and offers product solutions to customers in more than 120 countries. Kemin provides ingredients to feed a growing population with its commitment to the quality, safety and efficacy of food, feed and health-related products. Established in 1961, Kemin is a privately-held, family-owned and operated company with more than 2,800 employees globally and operations in 90 countries, including manufacturing facilities in Belgium, Brazil, China, India, Italy, Russia, Singapore, South Africa and the United States.